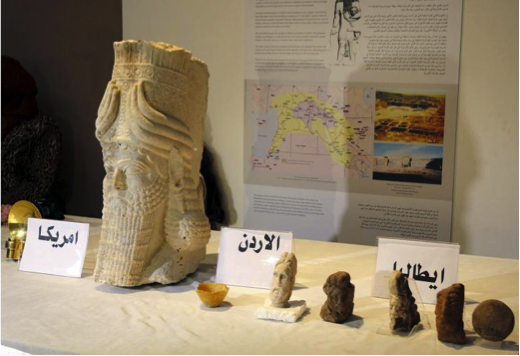 The Antiquities Coalition, the Middle East Institute, Asia Society, and UNESCO will cohost a high level forum in New York City on September 24 to seek solutions in the fight against antiquities looting and terrorist financing. 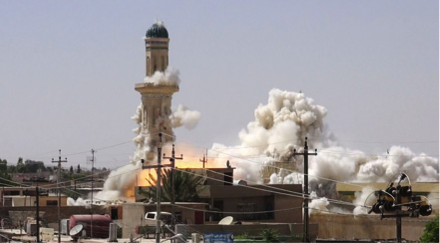 in Iraq as part of its campaign of cultural cleansing. This forum, Culture Under Threat: The Security, Economic and Cultural Impact of Antiquities Trafficking and Terrorist Financing, will bring together leading government officials and thinkers to discuss concrete policy options in the fight to save our shared history. The forum will build upon the accomplishments of the May 2015 Cairo Conference, which brought together high level officials from ten Middle Eastern countries. Together, they signed the Cairo Declaration, a regional strategy to fight the looting and destruction of artifacts by ISIS and other terrorist groups. vanishing into ISIS' black market trade. UNESCO Director-General Irina Bokova, who has condemned cultural destruction and racketeering as a “war crime,” will deliver the keynote. Other participants include Iraqi Foreign Minister Ibrahim Al-Jaafari, former Australian Prime Minister Kevin Rudd, Deputy Prime Minister of Jordan Nasser Judeh, Cambodian Secretary of State Chuch Phoeurn, and Ahmed Abdulkariem, Chairman of the Libya Department of Antiquities. The involvement of top leaders from government, law enforcement, the museum world, auction houses, the corporate community, and the not-for-profit sector is an indication of the international momentum building in this fight. Will there be any antiquities dealers, appraisers, or auction house representatives invited to comment on the situation from the viewpoint of the legal ancient art trade? Professionals who work in the antiquities trade can provide empircal data regarding the actual value and amount of Near Eastern antiquities on the legitimate market, including the supply and demand for such items, but no one here seems to want to include them in the discussion.